The wilderness; vast, unforgiving, and below freezing. Snow is everywhere, and one of the best ways for man to transport here is by dogsledding. This roleplay takes place in the Yukon, in the year of 1897. But life isn't easy for neither humans nor dogs. Team 1 consists of an assortment of dogs bought by people on the whim who need dogs for the sled team and are on their way to the Klondike to get rich. These dogs are constantly fighting and stealing each other's food and live by the law of club and fang. However, the dogs from Team 2 have either been raised together or were carefully trained to leave in peace with each other. They work as the mailing/trading system. This team is loyal to each other and to their owners. Temperates are frigid during the night. Whichever team you are part of, life in the Arctic is a struggle to survive. This roleplay is highly realistic and semi-literate (long posts are not required, but encouraged). Dog sled Team 1 is inspired by Jack London's book, "The Call of the Wild". Team 2 is inspired by the movie, "Eight Below". In case you didn't read or watch either of these, I will provide an overview of how to act in rp (for example, I will explain the law of club and fang, which only Team 1 follows). Also, if you can't decide which team to be in, you can create 2 characters. Law of Club: Fear and respect humans, or be beaten with a club. Law of Fang: Only the strongest survive. If you are knocked off your feet during battle by another dog, you'll be killed. Leader: This dog is respected and feared. He/she bullies the other dogs and keeps them in line. He/she also leads in the front when sledding. Every dog wishes to be and challenges the leader. Subordinates: These dogs make up the bulk of the team. They are in the middle or near the front when sledding. Omegas: These are usually the newbies that aren't used to sled dog life, or weak dogs that are too good-natured. They are often bullied. Leader: This dog is respected, admired, and loved. He/she is in the very front when sledding, and is the main decision maker besides the owner. Subordinates: These dogs make up the bulk of the team, pulling in the middle or near the front. NOTE: This rp existed in a pack I used to own, the Everlasting Winter Pack. If you used to be part of this pack/rp, then you are welcome to transfer your character! Whoops, I forgot to add team and rank in the joing form! But both of you are accepted. I just need to know which team Alaska is part of, as well as ranks for each of your characters. Ok thanks! Ill go ahead and make their bio's I guess. Oh can Alaska be a subordinate in team 1? 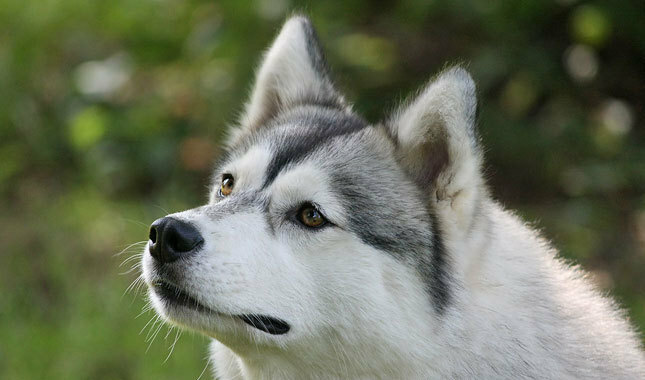 The gray and white husky growled impatiently. He couldn't wait for the rest of the team and the masters to wake up. The smell of bacon (cooked by humans) wafted in the crisp, cold air. But White Fang wasn't hungry. He just wanted to get started with the sled pulling. The only time that he wasn't malignant was during this event. Dogsledding made Fang whole, made him who he truly was meant to be. The young white Alaskan Husky threw herself against the leather straps of the harness, her muzzle reaching out to lick Master's hand, but missing by a hair. The master smiled and patted Snowflake's head reassuringly before walking past her to continue preparing supplies. She listened to the snow crunching under Master's boots until the sound faded. Snow perked her ears and waited patiently for the rest of the team. Appearance: grey and white fur. Mostly grey. Pink eyes. Skills: Strength and speed. She is a wolf dog. The black and white malamute woke up with a jerk as he heard a dog growl and he glanced around, noticing Fang standing impatiently. The brute quickly stood up, the harness tight against his body and his fur ruffled from sleep. 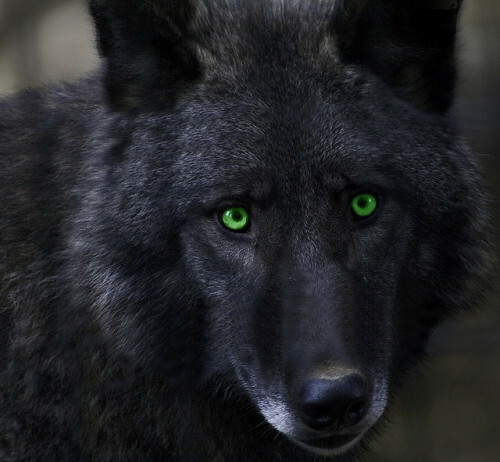 He glanced around, seeing the owners were sleep and he licked his jaws, scenting the mouth watering bakon. After a moment he shook his head, his mind darting from food and to the sled. His gaze drifted to Fang, wandering when the others would wake up and what time they were leaving. Kiba woke with a start, feeling fresh and ready to go from his nights rest. He yawned and stretched slightly, his tail curling over his back as he did so and he glanced around anxiously. He quickly spotted Snowflake and he yipped a greeting, his tail wagging slightly as he was excited to be sled pulling this morning and he shook out his ruffled fur as his gaze followed after the masters as they walked away. Fang snarled softly at Dagger but he was at least grateful that the malamute was "on time" unlike most of the team. The scent of bacon was beginning to drift away on the wind, and the humans were starting to load the sled and whistle to the dogs. With a huff, White Fang sat down and scanned the camp. Snowflake returned Kiba's morning greeting in earnest. With a dog smile, tongue hanging out and all, she waited for the leader, Yuki. The wind ruffled Snow's fur but she was used to it. It was just another winter morning in the Yukon. Can I bring over all three of my characters, Scara from team 1 and Simon and Jakson the wheelers of team 2?? Scara leapt out of her snow hole and smiled at White Fang. She padded over to sit by the sled as their Masters started cooking breakfast for themselves. The red husky was wide-wake and ready to go. Jakson nuzzled Snowflake as he reached the sled. The gray wheeler smiled at his crush and sat down beside her. His brown eyes gazed at her and his tounge flopped out of his mouth as he smiled. Simon sat by Yukis snow hole awaiting the female to emerge. The second wheelers tail brushed through the snow with happiness at the thought of the leader. The husky refused to return Scara's smile, but he watched her attentively as she took her spot on the sled. White Fang finally looked away, sighing. He didn't know if he was going crazy or what, but he couldn't let that distract him from sledding. Snowflake smiled, craning her neck to see the wheeler in his position. She quickly nuzzled him and trained her eyes foward again. She almost laughed at the sight of Simon. She wasn't the only one waiting anxiously for Yuko to wake up. Yuki emerged from her snow hole and got harnessed. "Good morning. "she said. The master gave the word and started running. Kiba stood up and got ready to go, his eyes focused on what was ahead. When the master ordered to go, he lunged forward, paws clawing into the snow as he moved forward with Yuki and the others. Dagger looked over and spotted Scara. He frowned and looked back ahead, his tail curling around his back as a harsh wind blew, ruffling his white and black fur. After a moment he could smell the breackfast the masters were making and he licked his jaws again, slouching over as he figured it would take a while to get going. Scara sighed as Fang didnt return her smile. She let herself be harnassed up and shook her red pelt to get it comfortable. Simon stared as Yuki walked right passed him. The gray husky padded over to his spot by his brother and got harnessed to the sled. Without saying anything he fell into step with the other wheeler and they set the pace. White Fang sighed; and exhalation of irritation. Alaska wasn't up yet, and he would punish her for that. Any late dog was punished here, for holding the team back. But the whip sang through the air, and the "Mush!" command rang out. The siberian husku shrugged and began to run. Alaska would scent them and catch up later. He felt his muscles flexing as he worked to give the sled momentum, and the sensation of enjoyment began to creep in. The white sled dog had enough time to give Jakson a quick wink before the sled started. With her tongue hanging joyfully from her maw, Snowflake began to exert forces upon the harness. Then she was flying over the snow, a born sled dog. Yuki steadied the pace as they slowly arrived to a house. She came to a stop as master handed a human a letter. Scara heard the whip crack and the command was given to go. She lept forward with her paws digging into the snow sending it flying back as she settled into a seady run behind Fang. Jakson slowed down to a halt as the reached a house. He watched Snow as Master gave a letter to the owner of the house. Simon gazed at Yuki while they stopped. When Master got back on and called for them to go he lept forward in time with his brother beside him settling into a steady run. Alaska woke up, covered in snow. She lept to her paws, glancing around with bleary eyes. Her eyes suddenly narrowed as she glared into the distance, seeing dogs running ahead on a sled. She woofed in alarm and raced forward as she realized it was her team and her paws churned as she tried to catch up, snow still stuck to her silver and white fur. She growled lowly and sped up, easily catching up with her team as she wasnt carying a sled behind her, she turned slightly and ducked under a hooked harness with no occupied dog on it and her jaws snapped shut over a strap so that even though she wasnt hooked up, she still had a hold of it and she could help, she made sure she was at the very back of the sled so that no other dogs could try and attack her for not being on time. Scara glanced back and saw Alaska grabbing ahold of an empty harness in her mouth. The red husky growled in annoyance that she had slept late and decided that if White Fang punished her later that she would help out because the team didnt need at dog who got up late.